Topics: Store Info, Accessories, Baseball, and Cheerleading. The estimated 94 daily visitors, each view 1.80 pages on average. It is hosted by Rackspace Hosting Texas, using Apache/2 web server. Its 2 nameservers are dns2.stabletransit.com, and dns1.stabletransit.com. 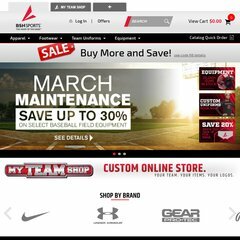 Academysportsutah.com's IP address is 204.232.215.187. PING www. (204.232.215.187) 56(84) bytes of data. A time of 34.5 ms, is recorded in a ping test.